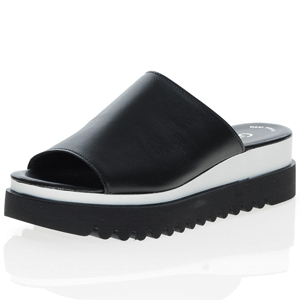 Super comfortable walking sandal from Rieker with soft tri-coloured uppers. The inner is made of a soft fabric and the three adjustable velcro straps will keep your foot snug in the shoe. Rieker have used their popular anti-stress technology in the sole unit so along with the flexible and shock absorbent sole and padded footbed, these shoes provide total comfort. Average user rating 5/5 based on 4 ratings. Delighted with my Rieker walking sandals. Even more delighted with the service from Shoe Horn. I ordered sandals online on Thursday and they arrived on Friday! !